Last week I mentioned how I was getting into something new and trying out taking photos of the stars. When I talked about it last week, many of you had lots of advice, but I thought it would be great to get all that advice together in a special post. So today’s post is about Astrophotography and hopefully a place for lots of information. I can’t lie, I don’t really know what I am doing when it comes to photographing the stars. I’ve done some reading and watched some tutorials, but I can be stubborn and just try to learn as I go. I did try doing some a couple of years without any research and it was a massive fail, so this time I have done some and I have had some results. The type of photography I’ve been doing has been more to get the stars. Setting the camera up on the tripod, putting it manual then setting the ISO on 2000, or thereabouts, aperture f/2.8 and then the shutter speed at 30 seconds. I get stars with my 14-24mm lens. I really like what I am getting. This Easter weekend I have been at my mothers house in the Mallee and it seemed like the perfect place to take some photos of the stars. I went out two nights in a row, to two different places. I used the Star Walk app on my phone to let me know where everything was in the sky and set the camera up to get the milky way. I got good results I thought, I wasn’t disappointed. For this kind of photography I think the next step for me is learning more about the stars and then processing the images. I don’t really know what I am doing when it come to processing them. I tried to do some star trails, but I wasn’t too successful, so I gave up, I need to learn more about doing those. I suspect the thing I need to learn more about is patience here. I did set the camera up in my mothers backyard, and had a go at doing some 20 minute exposures. I got some trails, and luckily Woomelang isn’t too bright a town that the images weren’t too blown out. They weren’t great, but I did get something. I think I need to work out how to compose better too. Actually I need to do that for all the star shots. I have several apps on my phone now to help me with all this. As I said, I have Star Walk, though you have to pay for this one, it is around $3 or $4 I think. There are some others that were recommended to me, Star Finder, Planets, Google Sky Map, ISS Detector. I haven’t used those as much, I still need to sit down with them and check them out more. I have a couple of apps for the moon, the one I use the most is Phases of the Moon, it is free, but you can pay for it so you don’t have adds. I think I will do that, it is good to show some support for these things. I also have one called Lunar Phase, but I like the previous one more. I also got a Compass App, always good to know the direction. The other day I also decided to get an app so I would know when sunrise and sunset were, I have used this one quite a bit since installing it. When I did the post about this last week people talked about stacking images. Taking a series of images and then you stack them. Apparently you can get software to do this, but I haven’t tried looking yet. I haven’t had anything yet that I thought would be worth doing that with, but hopefully I will get to do more as I go. I need to work out how to do the star trails. I also need to find out some more information about my camera and the remote shutter release. I might have to read the manual. I don’t know a lot and I know there are people out who are the same. If you do this what advice would you give someone starting out? What equipment would you recommend? Do you use any special apps on your phone? If you do, which ones? Have you experimented with software? Which ones would you recommend? How would you go about doing star trails? This doesn’t just have to be a place for people talking about what they know, do you have questions about doing astrophotography? Perhaps the people who are more knowledgeable can answer questions too from people reading the blog. Finally, don’t forget to get your images to me for the MMC8 tomorrow. Here is a gallery of the images in this post. They were all taken here in the Mallee. The first two on the same night, and the third, the second time I went out. I’ve been experimenting with some light painting as well. The first necessity is clear skies which are not always easy to find. Oh wow! These are just beautiful Leanne. I love them. Thank you Suz, I was pretty pleased with them, though I am sure there is more I could do to them. Thanks John, looks like a great link. I am so excited that you posted this. I would love to try this, but I am a bit intimidated. Great writing thank you for posting. You’re welcome Deborah, I am hoping to get lots of information myself. Maybe we can both learn. I love doing astrophotography and star trails. It’s one of my favorite things to capture. I’ve done star trails the past couple of nights and they came out quite nice. If you need some help, I’ll be more than happy to help. I might have to take you up on that John. I tried doing them, but I was just playing really, no idea what I was really doing. Your images are wonderful! Re: stacking I am at the other end, macro, and still working with Photoshop, I understand the next best is Zirene Stacker and it is expensive. I have heard others talking about stacking for macro, it is very interesting. I haven’t looked at software, but some others have said there is free software out there, so might have to try that. Oh, while I’m talking to you, my extension tubes still haven’t arrived, they are now saying they won’t arrive until May. I ordered them off an Australian site, Fishpond.com.au which are meant to be good, but their shipping leaves a lot to be desired. Not great news about your tubes. Stacking is harder than it sounds. Once I get a handle on it, I will write something up. No not great news, but what can you do, hopefully they will come eventually. Stacking is not something I have ever seen, but I will have to start checking it out. I wrote down your settings. I think this is what I am doing wrong my shutter speed was too fast. I was only getting the larger stars. I love all of them. It looks like to me light is shooting up from the ground instead of the other way around. Also was it a full moon that night? You do need a slow shutter speed, also you might have to play with the ISO, depends I think. Let me know how you go. Thank you, well I hope this post and the comments will help you get lots of ideas of what you can do. Actually it helped a lot! I saw the first one you did and these more vibrant. I wrote the settings down so I can use those as a starting point! Thank you so much for posting this is amazing! Sort of gave up, till I have time to figure it out! So exciting to me thank you! I have been excited about it as well, it is a fun thing to do and you get photos of so much more than what you can see with your eyes. Good Luck. There are some great videos by Michael Shainbloom that really explain the post processing that makes the images pop. They are on YouTube and definitely worth a watch. Great, thanks for the name, will have to look him up when I get home. My pictures really improved after watching a few of his videos although I don’t get out often enough at night to make pictures. I will definitely have to take a look. So on YouTube right? I haven’t heard of them kkeith, I will check them out when I get home, you don’t happen to have a link do you? I believe the link is just StarCircleAcademy.com . Hopefully of some good info. I will looks for it, thanks. Thanks for sharing the journey with this Leanne, it’s informative and the photo’s are turning out real well. I especially love the first one in the post. Thanks Christina, it has been great exploring this more. I love photographing the stars. I think these images are amazing Leanne. Seriously, it looks like you know what you’re doing to me. I’d love to try this as well. I wonder if it will work well with my smaller aperture lenses or if I need to use my 35mm because it’s a 1.8. All my other lenses are 3.5-5.6 unfortunately. But I love the wide angle! Our new back deck has a nice view but it might be too much light. Maybe I’ll give it a whirl sometime. I’m anxious to hear what others say about this type of photography. I love night shots and stars are the ultimate! Thank you Laura, I think I am okay with these sorts of shots, but I would like to do star trails. I think the lenses you have would be fine, I say try it, do the f/3.5 and have it at its widest and just see what happens. I am sure you will still get some great shots. You do have to find somewhere that is very dark. The Mallee has been great for that. I would love to see how you go. I am sure we will get lots of great advice. I’ll give it a whirl sometime. Our other house in the mountains would be a whole lot better for this kind of photography but I’ll try it here sometime. Thanks for the info. It is interesting to do and experiment with. I am looking forward to learning more about it. That gives you the option of taking several photos for a specified amount of time (you may want to explore this when you get to stacking star trails). I’ve tried the long exposure approach too, but wasn’t ever happy with the results; with an intervelometer and some stacking software (I’ll have to check to see which one I use) you can get some good results. I have a similar one, but it is a Nikon one, I just need to read the manual and work out how to do that sort of thing with it, other than just pressing the shutter button. Thanks Matt, will keep that in mind, I was doing some long exposures, about 20 minutes. I will be following this with great interest. I have tried many times to get some good night shots, but they never work out. My best has been a few moon shots. Hopefully you will gets lots of good advice here, I hope to get some too. People can be very generous with their knowledge. Okay Steve, that sounds interesting, thanks for the link too, I will check it out when I get home. No problem, and by the way, your Milky Way shots are great, that is something I have yet to be able to accomplish. Thank you Steve, a good start. Very nice images Leanne, had a go myself over the weekend, using long exposures and low ISO. Some exposures were around 20 minutes, got some nice trails. I use Stellarium, a 3D star tracking program for laptops and smartphones. Its a free download and can also be used to control tracking of a telescope. The brand of camera I use has a GPS tracking unit availiable for it. It moves the sensor to keep the stars in focus for long exposures. I will be looking forward to reading more of the comments. I have tried with minimal success to get good star shots. I hope you will gets lots of ideas John. Wow, you have some amazing images here for a first try, I can’t wait to see how you improve. Personally, I liked the one with the Milky Way (?) at the same sloped angle as the tree line the best, the composition is the most pleasing. I have tried and failed miserably to get any star pictures, trails or otherwise, hopefully I can pick up some ideas from this post and try again. Thank you Katie, I feel okay doing these sorts, but star trails in another thing. I like the one you said too best. I hope you get lots of ideas from this post as well. Good luck. Beautiful photos leanne!! I am a star gazer (RASC) with a telescope and all but the photos I attempted in the past were not successful. I have learned a bit more about photography but not astro photography. These photos are STELLAR!! I have never tried with a telescope, but think I would like to do that eventually, no idea how though. Thank you so much Cybele, I hope we can all improve on this. I think these shots look rally good. I have always wanted to try this as well, but unfortunately there is just too much light pollution where I live. When I do give it a shot I want to build one of these barn door mounts to track the stars. Check it out. Thank you, I will check out the link. I haven’t heard of these before. Wow! How beautiful! I have always wanted to capture the milky way like that 🙂 I only have a digital camera (Nikon p510) and still don’t know how to make the most of it so having had any success capturing the stars. I have taken some ok moon shots though as the zoom is pretty good on that camera. I use the ‘Night sky’ app for looking up at the stars at night 🙂 Can’t wait to see more of your photos! Hi, Leanne: First off, your initial efforts that you show here are excellent. So you are off to a great start. Second, if you are looking for apps to help you with the question of where to point your camera, I would suggest that you investigate these two: “The Photographer’s Ephemeris” and “PhotoPills.” Email me for additional info if you wish. Other than capturing moonrises in the right location, I cannot claim to have a lot of experience in this field but I have worked with some one who has. 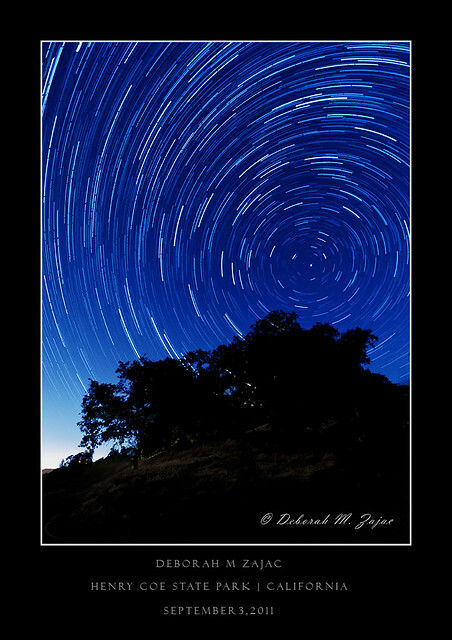 His name is Michael Frye and last September I attended his StarTrails workshop in Yosemite National Park in California. (Check his blog for how to shoot the moon or a lunar eclipse. ) To get a high quality shot of star trails, we used intervalometers to take a sequence of 4 minute exposures over a 4 hour period, did some light painting of the foreground, and then used a very straightforward technique that he showed us in Photoshop to produce the trails. A long exposure can produce the same look but the quality of the final image is less satisfactory due to issues such as noise, artifacts, etc. This is getting a little long, so I will quit for now, but one last thing: some modern lenses focus past infinity so when someone says go to manual and rack the focus over to the limit, you may not be happy with the results. Looking forward to seeing where this discussion and your photographic efforts on this subject go. Thank you Robin, I will look up those two, if I have any trouble I will contact you, though I do like Star Walk. I know that name Michael Frye, was it you that mentioned him the other day? I don’t have one of those intervalometers, but I do have a fancy Nikon shutter release thing with lots of settings that I have never explored, so I wonder if it will do the same thing, I should investigate. Thanks again Robin, I did see a tutorial on how to focus the cmaera, doing it in daylight and using tape on the lens to make sure you stay where you are meant to, it worked really well when I went out. It is a great topic, and something that so many people seem to be into right now. Thanks Leanne. Yes, Michael was the one I mentioned a few days ago. I see from a comment below that you have the Nikon MC-36A remote. That is all you will need for an intervalometer. The operation is not very intuitive at first, but once you step through the instructions it is pretty easy. And way easier than the procedure that comes with some Nikons. I checked him out, great stuff. I will look more now that I am home. Yes, I have that, I found the manual for it yesterday, so will look into it more before I go out again. Apparently with the D800 I can set it up in camera as well, just read about it quickly, so not totally sure, but you can do a heap of time lapse or something like that. I really love astrophotography–anything about stars, galaxies, etc. You have really nice compositions in all 3 photos. Was there an artificial light shining on the tree in the “blue” picture? They look rather painterly–like nature scapes from the 1700s-1800s, especially the one with the tree on the right. Keep up the nice work! Thank you so much, and yes, I did a little light painting on the tree, I need to practice that more. It did make the picture more dramatic! Wow fantastic work Leanne! You are awesome! I don’t know about that, but I had a great time experimenting. Thanks John. These images are gorgeous times ten! High praise indeed Jackie, thank you so much. Great timing Leanne. I went out last night, with all the talk about meteor showers. I’m really disappointed in the photos I took and it’s something I’d love to do properly. I guess it’s one of those things that practise makes perfect with. I love the photos you took. I’ll just have to keep trying. So perhaps this post has come at the perfect time for you Livonne, Hopefully you can get lots of tips here on how to do it. Practice does make perfect, good luck. very kewl ,,,jest makes me wantr to go out an buy a celestron telescope ,,,aN setup fer my camera an all 🙂 ,,,very kewl ,,sumpin i have yet to get onto 🙂 ,,, laterz. You are off to a great start Leanne. I haven’t tried much night photography other than moon shots. I use an app called “Moon Phases Lite”, it give the moon rise/set as well as the sun. There is some other info given also. Thanks Jimmy, it is interesting to do and not as easy as it sounds. Thanks for the tip about the app. These came out so much better than mine! I need to figure out what I was doing wrong the other night. These pictures are great. Thanks for sharing! Thank you Brendon, I did see a tutorial so I had an idea of what I was doing. These are really good. Thanks for the settings info. I might try it some day. As soon as I get off of my urban kick. You are welcome, I hope you get a chance to try it out. Hi Leanne, I have just posted a blog that helps answer many of the questions posed above. This is the link (http://johncholding.wordpress.com). I am thinking that this coming Monday night should be good for a astro night, sunny days and a change due Tuesday. Thinking of heading out north to get a shot from a area near a silo or lake, not sure which. You can tag along if you want. That would be great John, would love to do that. Where are you planning on going? Can you email me? I have seen the post briefly but will go back and see it more carefully when I catch up with everything. Wow, what a great set of captures, Leanne! Will this work only for 14-24mm lens? Thank you Tania, no I think it would work with just about any lens. Apparently it is something like wide angle get the stars, if you want trails the bigger the zoom, the more movement you will get. Your initial images are really good, and a great start in Astro-imaging. I agree with with the poster who recommended StarCircleAcademy. Steven Christenson, and Eric Harness run it. Both are wonderful teachers, friends of mine, and taught me how to shoot Star Trails, and the Milky Way years ago. They have a stacker action you can purchase that is really nice, and they have online workshops that you might find useful on your journey into this genre of Photography. The Photographers Ephemeris, Clear Sky, Goggle Earth, and PhotoPills are tools that I use to plot and plan my shoots. I like shooting star trails on Moon lit nights. It helps to naturally paint my foreground with light, but sometimes I help it with a flashlight or Speedlight. If I’m somewhere where there is a lot of airplane traffic I boost my ISO a bit and keep each exposure at 30 seconds that way if I need to remove any frames I don’t have big gaps in my trails. If I’m somewhere there is little to no air-traffic I keep my exposures about 2 minutes long. I shoot the Milky Way when there’s a new Moon or Moonless nights. I have a few favorite lenses I use for Astro-Imaging, all are fast. I use an Aperture of 2.8-f4. I start my test shots using the 600 rule. 600/focal length= shutter speed. If there is any streaking of the stars I speed up my shutter speed. Keep a spare battery handy, and keep it warm. My camera battery is good for about an 1.5 hours in warm weather, and only 45 minutes on cold nights. Keep a lens cloth handy too to wipe dew off the lens. I’ve used disposable hand/body warmers wrapped around my lens to help keep it warm to stave of dew/condensation on my lens. Have some Silica packs in your gear bag to soak any moisture from the nights shoot as well. Dry your gear well before putting in your pack. I keep a micro fiber travel towel in my pack. I have an astro-photography set on flickr if you want to see it let me know I’ll send you the link. That’s all I can think of now. You’re going to be great at it. I’m looking forward to your future images. So the tools you use, are they apps for your phone. I will have to get the manual out and work it out. I have the Nikon MC-36 I think, and you can set lots of things on it, so I assume it is one of those things. I did a little light painting, but I really want to do more, I didn’t have a good light with me, it was too bright. I am keeping an eye out for the new moon, so there won’t be any moonlight. I always have a spare battery so that isn’t an issue, I better recharge the spare actually, it went flat yesterday. My battery actually lasts for hours, they both do, they are fairly new, only a few months old. I was told about using heat packs and things to keep the camera warm. Oh silica packs, will have to look for some. I have some of those micro fibre towels, will have to look for them. Yes, please send the link would love to see. Thank you so much for all this, you might get an email. The odd thing is I can shoot all day long with one battery, but when I’m shooting long exposures with a 2 second delay in between frames the batteries don’t last as long, and on cold nights they use up their energy even faster. I don’t know the science behind it, but it happens. Just keep it in your mind. If you’re shooting from home, and you’re lucky if you can pick up the power supply that goes with your camera. You can add an extension cord and shoot all night long. I’m saving for an external battery pack so I can shoot all night anywhere. I wish I was handy and could make a light weight one. I use the power supply when I’m shooting the Moon and Sun from home, and when cleaning my sensor. Often times I’m too lazy to go look for a Fully charged battery and it’s so easy to remove the battery and plug in the power supply and clean my sensor. I’m done in jiffy. About the tools I use TPE- The Photographer’s Ephemeris, and PhotoPills are apps for the iPhone, ClearSky is not an app, neither is Google Earth. Honestly, I’ve not checked in sometime to see if either are offered as Phone apps now. PhotoPills is so feature rich you may find it replaces several of your stand alone phone apps. One more online tool I use and forgot to mention is Stellarium an open source program that shows you the sky with realistic stars, planets, atmosphere in real time. Really neat tool! I have been told to get those heat pack things to keep the camera warm, I wonder if that would make a difference. I hadn’t realised that about the battery, though, I don’t know where you are, but it doesn’t get as cold here as most places, it will get down to 0 over night, but not often. Thanks for the apps, I will have to see if they are available for Android, most are these days. I will check out Stellarium, I haven’t heard of that one before. Star walk is a bit like that, you hold it up and it tells you what is around you, or in front of your phone. Thanks for link, I will check out the photos and believe me I will ask, thank you. I find your photographs wonderful Leanne, even though you’re just starting in thsi new type of photography. Keep it up and thanks for sharing with us all the info. Thank you Klaudia, I will see what I can do, I do really enjoy it, so keeping it up shouldn’t be a problem. Thank you Cardinal, I have the same problem but an hours drive and I should be fine. Yes, a car is a bit of a must. Hopefully you will get a chance one day. I have always wanted to give this a go but I live in the middle of quite an urbanised area, living in a city with big towns surrounding it, so getting away from the light pollution is hard. I know stacking can be done in photoshop as I have done this with macro. I think and I may be wrong in saying this that stacking images is good for creating star trails. Great post and Great images. You will have to some time Ben. I think I am a bit addicted to it. Living in the city is a pain, though if you can get out of the city, it can be worth it. I will have to do more research into stacking. Yes, you are right stacking is very good for star trails. I wish cites would do one day a month when they have a black out on street lights, although it would be really dangerous for drivers. When I was a student the city where I lived was flooded and the local power station was also flooded (who would build it next to a river) and I had some amazing views of the sky then. Maybe when I head to the mountains in the summer I will have some time to experiment. Now wouldn’t that be great, haha, just for us. They build some silly things in places sometimes, like why would a county like Japan that is famous for earthquakes build a nuclear power plant, an accident waiting to happen. oh that would be perfect Ben, just do all your research before hand so you will pretty much know what you are doing when you get there. How exciting, don’t you love new adventures. Great shots and fantastic timing for this post – I’m actually heading out tonight to try this myself!! Good luck, I hope you get lots of shots. Thank you Sreejith, it was easy where I was, I think we had clear night nearly every night I was there. Thank you Poppytump, I was really happy with what I got. The advice here has been phenomenal, it is one thing I love about these posts. Great resource place, well that I what I hope for. Yes, lots of clear nights ahead. Getting away from light pollution is getting harder and harder, but it’s worth the effort to try it. However, even in the middle of a National Forest I’ve had light pollution issues, but it’s not always a bad thing. 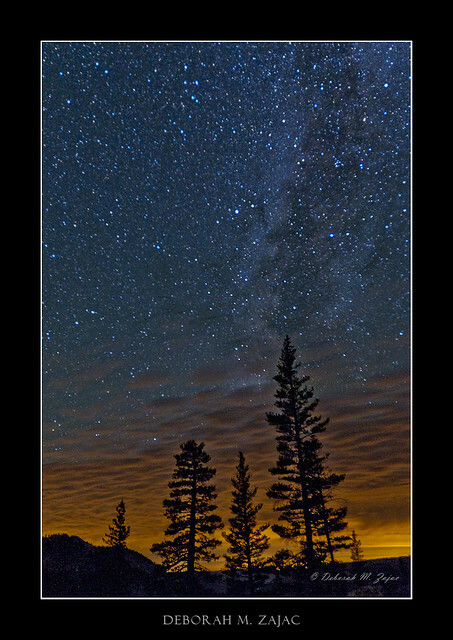 Example-This image I took while in Yosemite National Forest 5 miles deep into the Forest at 8,000 ft+ elevation. The orange glow from a city far away I think enhances and makes the image. Sometimes it’s not so bad. I don’t know what it is like here, but you do have to get a fair way out of town. The ones in this post are taken about 400kms from Melbourne, so it wasn’t an issue at all. I have to travel at a minimum an hour to get to place where the light pollution isn’t bad, or can be avoided. You’re very lucky to be able to go to your Mom’s and be in a “dark sky” zone! I’m envy you that! I think that is one thing about Australia, we are and have always been a very urbanised country so there are many places to go. I am lucky with where my mum is. Really lovely shots. I’ve always wanted to try this but I am always near too much light pollution. Great blog. Light pollution is a big problem, I have to get out a bit to do this. Thank you. That is great Keli, it is supposed to be good here tonight as well, but I don’t think I will going out to see. Good luck if you do. Beautiful, beautiful photos. Being away from city lights is all that matters. Love seeing what the Southern Hemisphere sky is like at night. I’m not too crazy about star trails after seeing so many last year. I have to say, I would like to learn how to do them, but I do like to actually see the stars. Is the Southern Hemisphere sky very different? I know we have some stars that are different, like the southern cross. Very much so. We have constellations in the Northern Hemisphere that you wouldn’t see in the Southern Hemisphere and vice versa. When you get into the tropics, then you’ll see a little of both. In Hawaii, for example, you’ll see just a small piece of the Southern Cross peeking over the horizon. That makes sense, I know they are different, but I wasn’t sure how different. Leanne, I’m curious about your settings. Did you actually set your ISO to 2000? I would have instinctively thought of setting a low ISO, the smallest aperture possible, and adjust the shutter speed accordingly… but I’m obviously wrong. I guess, now that I think about it, you pump up your ISO to let in more light? I’m curious to try this sometime. Yeah, my I did set my ISO on 2000, if you do it too low you don’t get enough stars. It is a good thing to experiment with. I think because it is so dark, and you don’t want movement of the stars you need to let in as much light as possible, so higher ISO’s and wide aperture. Oh yes, do try it Shane, it is magical seeing what you get, the camera picks up so much more than what you can actually see. I absolutely will, but I’ll probably have to wait until I’m out of Toronto. I would suspect it’s just too bright here in the city. That’s interesting about the ISO/aperture for stars, but I guess it makes sense. I’ve taken a few shots of the moon over the past year, but the edges always blur out, which I think has to do with the moon’s movement in the sky. So, I’ll try your technique the next time I go after the moon. I don’t know how big Toronto is, but Melbourne has something 4.2 million and I was really surprised recently when I took some photos at night in the city that I did get some stars. So I have wondered what it would be like where I live, I am about 15 kms from the centre, but surrounded by parkland, I would still get some light pollution, but I wonder if I can make that work in the image. I don’t think you need to worry so much about the light pollution for photographing the moon, it is already very bright. I wish I had stayed in town for the lunar eclipse and just gone up on a local hill. Thank you, love the capitals. What a great post Leanne! This is great info for someone who’s keen to try the same thing at some point. The apps sound so handy. I think your first images are pretty great! Just gotta love the night skies and stars! You must get good skies where you are, I would imagine, have you tried doing star photos? Thank you Robyn, it was a great post for me too, I learned so much. I haven’t tried yet, but it’s something I’ve talked about doing for a while. As you say its a massive learning curve and one I’ll enjoy when I get to it… Hopefully not too far way. I need to do some learning first as well. Maybe if I get up there soon I could show you how. It isn’t hard to do, not really, just need a wide angle lens, it is pretty easy. It is the star trails that are a lot harder to do. Yes go for it… get out there with the heavy dews and fog and frost. It’s so surprising and amazing what you see through the lense that you don’t see with the human eye. So happy to be of inspiration, as you are for me as well. I will, hopefully I can get some great images too, you get some really amazing ones. I am not sure I will get anything like that, but I am looking forward to trying. I wonder where my gloves are. Leanne, those images are magical …. WOW! I can image that quite a lot of patience is need to get images like this. It looks like star rain. These images are possibly the easiest to get. I think it is the star trails with require all the patience, these are just 30 second exposures. I do hope to do the star trails at some point, but haven’t done them yet. I did try up at my mums, but only for a short time. Thank you. Hi Leanne. Thanks so much for posting on this. Your photos are really great – I love them. Quite magical. It’s also been very interesting, reading about astrophotography. I will be taking a look at some of the sites mentioned – there are some superb photos out there! I’m also thinking maybe I should have a go as I love star gazing and we live in the middle of nowhere with very clear skies! I was even dreaming about the moon and stars last night…..
You are welcome, I love these posts, I learn so much, which is great for me, and great for others as well. I found out so much stuff. I am glad you got lots of ideas too. Sounds like you are in the perfect place to do some of this photography yourself. You should have a go. Try it out. These are really beautiful, Leanne! I really like it that you hsve left the trees in shot. It lends the shots a real magic. Thank you Richard, I thought the trees were good to leave too.